Street arts, dance, live music, markets, fashion and design, comedy, family events, tours, heritage walks, talks, food and drink and much more. Join some top chefs for great food, music and fun. Feast at over 30 delicious street food stalls in the Street Food Avenue. Music, comedy, family fun, literature, film, conversation, and all manner of curious delights – all served up with a healthy dose of Scottish sea air. Spectacular event set against the backdrop of Edinburgh Castle. Hailed as one of the most spectacular shows in the world and watched by a TV audience of 100 million worldwide. Not to be missed. The world’s biggest celebration of the arts. Runs for three weeks with a mix of culture and art, theatre, music and dance, exhibitions, children’s shows and events. 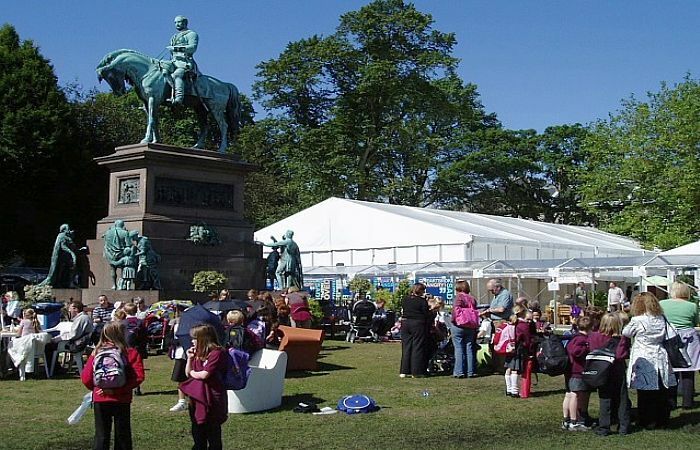 More of the arts, with the Edinburgh International Festival offering live performances by internationally renowned artists, classical music, theatre, opera and dance. Traditional Highland Games and Highland dancing. Pipe Band Championships with over 70 bands. Concludes with a spectacular massed pipe band display. The world’s biggest book festival. Meet authors from around the world. Discussions, lectures, debates and workshops. A 25 or 60 mile cycle challenge around historic Stirling. Have an active day out with your friends and family, while supporting a worthwhile cause, Parkinson’s UK. Massed pipe bands, vintage parade, highland dancing, fun fair, food fayre, crafts, pets parade, and so much more for a great family day. The World Pipe Band Championships are back with around 8000 pipers and drummers taking part. Four days of equestrian sports, plus over 200 trade stands offering something to suit every taste and budget. The aim of the Show is to raise much-needed funds for the work of Macmillan Cancer Support. Meet an author, watch a debate, view an exhibition, walk the grounds of Traquair house, or cycle the banks of the River Tweed. Lochaber’s annual agricultural/horse/food/craft show is held beneath the spectacular backdrop of Ben Nevis at Inverlochy Castle Farm, Happy Valley. Join thousands of runners, joggers and walkers on a half marathon or 10K. The world’s largest Highland Games. Competitors are attracted from all over the world for dancing, piping, heavy events, athletics and shinty.